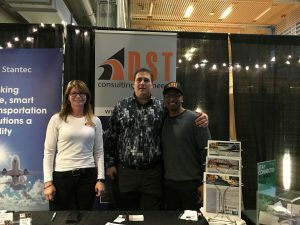 On April 3rd, DST Consulting Engineers attended the Algonquin College Professional Networking Event in Ottawa. The event gave students an opportunity to connect with environmental professionals and industry leaders from around the Ottawa region. In addition to the wealth of networking opportunities, the event gave students an opportunity to gain deeper insight into what it means to be an industry professional and the steps they need to take to become one. 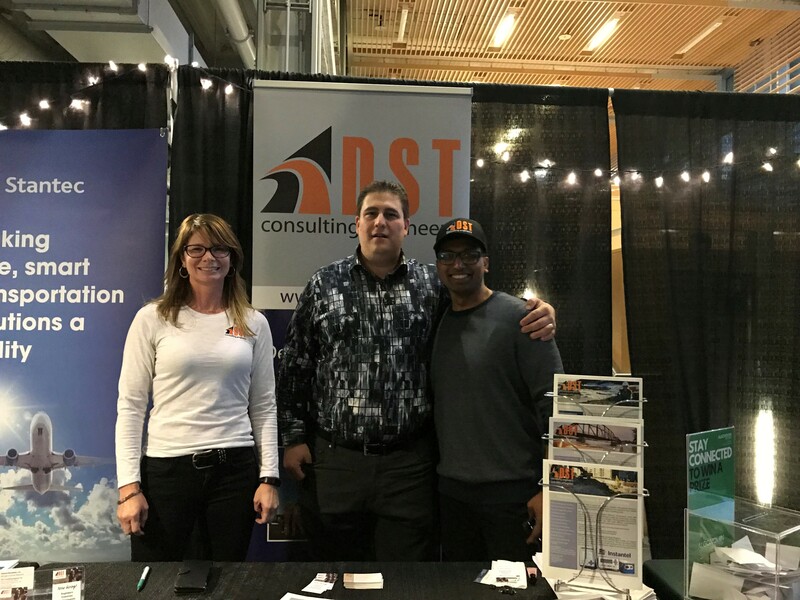 DST’s own Sue Murphy (HR Administrator), Guillaume Castonguay (Project Manager) and Zubair Hossain (Environmental Scientist) managed the DST booth and offered wisdom from each of their disciplines to passers-by. According to Guillaume, “it was the best student event I’ve attended in a long time”. DST loves getting involved with those who are new to the industry and we want to encourage those who have questions to reach out to us on one of our many social media platforms.